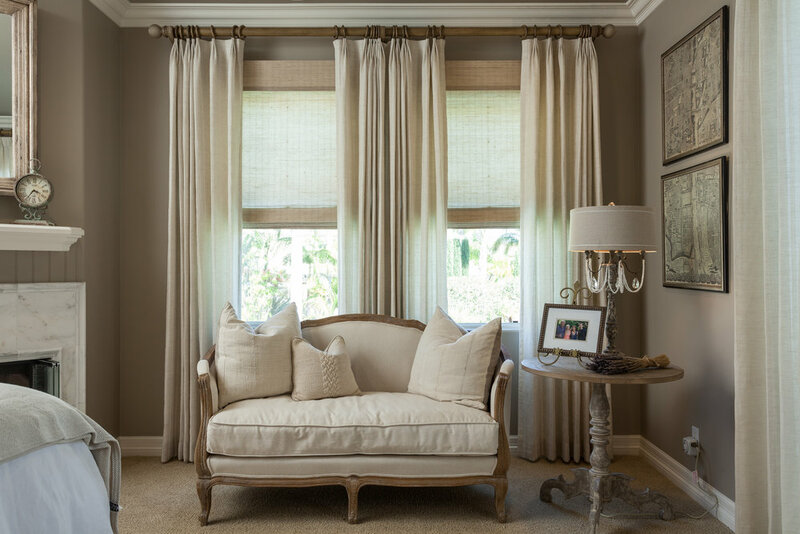 We were hired by clients to update four of their rooms with furniture, drapery and finishes. The home is French Country in style and we wanted to keep infuse French-inspired design through the wallpaper and drapery. 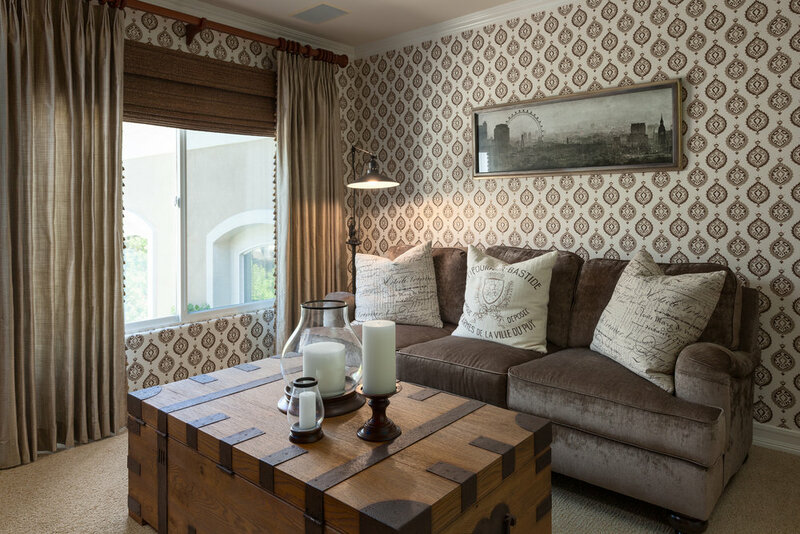 We sourced all of the furnishings, finishes, fabrics and accessories to complete this design.